Alison Buchanan’s recent engagements include Vaughan Williams’ A Sea Symphony, Opus 1 with the York Symphony Orchestra, featured soloist in the Holiday Concert series with the Detroit Symphony Orchestra, Berta IL BARBIERE DI SIVIGLIA with St. Petersburg Opera, Serena PORGY AND BESS with New York Harlem Productions’ tour, and a concert tour of PORGY AND BESS with Symphony Services Australia. Other engagements include her role debut as Ariadne ARIADNE AUF NAXOS with Birmingham Opera Company directed by Graham Vick, a role she reprised at Merkin Hall in New York with Opera Du Monde; her Carnegie Hall debut singing the soprano solo in the Mozart Requiem; Nedda PAGLIACCI with Pegasus and English Touring Opera. She performed her first Donna Elvira DON GIOVANNI at New York City Opera where she additionally covered the title role of SUOR ANGELICA. Ms. Buchanan performed a concert of PETER GRIMES with Sir Colin Davis and the London Symphony Orchestra at both the London Barbican and Avery Fisher Hall and, in the spring of 2004, she made her Michigan Opera Theatre debut as 1st Lady DIE ZAUBERFLÖTE. Also recently Ms. Buchanan made her role debut as TOSCA for the Sedieres Festival, France, performed the role of Palmyra with Pegasus Opera in a new production of Delius’ KOANGA which was performed at Sadler’s Wells, and added the role of Cilla MARGARET GARNER to her operatic repertoire. Recently Ms. Buchanan sang the role of Janthe with the American Symphony Orchestra production of the rarely performed DER VAMPYR by Heinrich Agust Marschner. 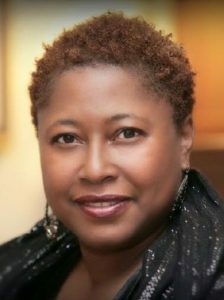 She made her New York City Opera debut in 2002, performing the role of Bess PORGY AND BESS and has since sung the role with Mobile Opera and again with Delaware Opera. She has also performed as the soprano soloist in concert versions of PORGY AND BESS with Baltimore Symphony Orchestra, conducted by Marin Alsop, and in 2012 she performed in a similar concert also under Alsop with the São Paulo Symphony Orchestra followed by a performance of the opera in concert with the Boston Symphony Orchestra conducted by Bramwell Tovey. After completing her Adler Fellowship with the San Francisco Opera, Ms. Buchanan made her mainstage debut in 1996 as Mimi LA BOHÈME and Micaela CARMEN. At San Francisco Opera she also appeared in HARVEY MILK, AIDA, RIGOLETTO,and ELEKTRA, and sang Blanche in a workshop for San Francisco Opera’s commission, A STREETCAR NAMED DESIRE, working closely with the composer, Andre Previn. She has appeared at the Barbican Centre in Haydn The Seasons with Goldsmiths Choral Union Elijah with the Highgate Choral Society, a Gala with Viva Orchestra, a Prom’s Concert with the Royal Philharmonic Orchestra, Strauss songs with the Philippine Philharmonic Orchestra, and Poulenc Gloria with the Jacksonville Symphony. Originally from Bedford, England, Ms. Buchanan graduated from the Guildhall School of Music where she won many prestigious awards. She was the 1991 winner of the Maggie Teyte Competition and gave a recital at the Royal Opera House as part of the prize. Shortly afterwards she received a Wingate Scholarship and a Countess of Munster award enabling her to study for her Masters at the Curtis Institute. Alison Buchanan was also a winner of the Washington International Competition in 1995, the Pavarotti Competition in 1996, the Kathleen Ferrier Competition in 1996 and a finalist in the Belvedere Competition 1997.